The Splatte Roller is maybe the best Caddis larva we have ever fished. Tremendous on all types of rigging during and before spring Brachy hatches. John Barr’s simple but deadly caddis uncased Caddis larva. The first stage of pupation for a Brachycentrus. 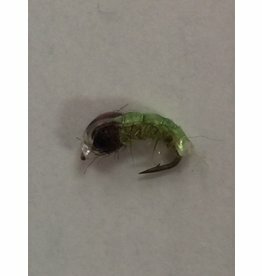 A double hot wire colored Caddis larva with a tungsten bead. Runs deep and deadly. 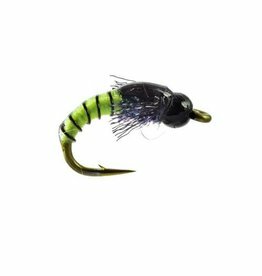 Designed by legendary guide Larry Kingrey for the Arkansas Caddis hatch. This is a great bottom drifter pattern. 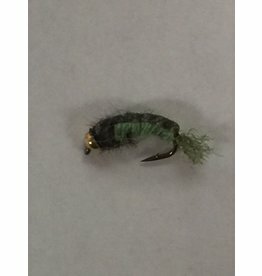 Simulates many different Caddis larva. A woven Polish nymph specifically designed for Euro nymphing. 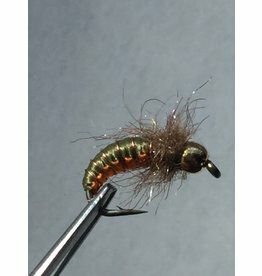 Gives a great Caddis presentation. 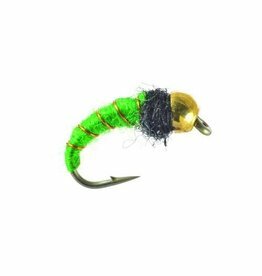 John Barr’s Net Builder Caddis pattern. The buggy net builder similates this substrait dwelling bug very well. Complete back casing. 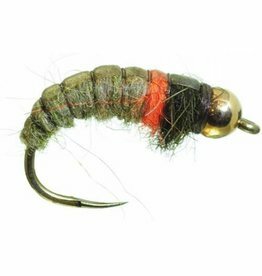 Mike Lawson’s electrifying larva pattern with a tungsten bead head. 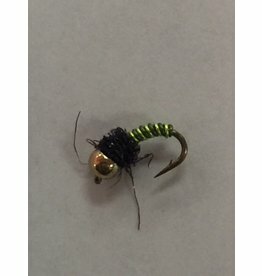 Deep dropper for a variety of Caddis hatches. 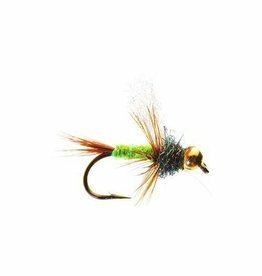 Our favorite Euro (Czech) nymph patter for the spring hatch. Great in shallow runs as an anchor or as a dropper above a big stone. This bright green larva is a tight body pattern that really matches the Brachycentrus larva when it’s tethered out of it’s case. Must have for Spring hatch. 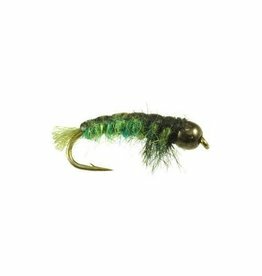 This is a great dead drift Caddis. Fished well as a dropper behing a Stonefly nymph or hopper/dropper style. 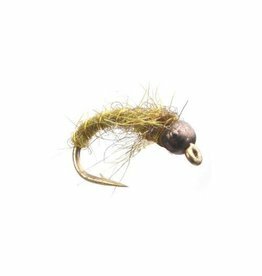 This tungsten heavy weight dominates early morning during Spring and summer Caddis hatches.